The Gentry Fire is currently 80 acres and is located in Navajo County north of Black Canyon Lake. No structures are currently threatened. A Black Mesa District Type 3 Fire team will be working the Gentry Fire through the 4th of July weekend. 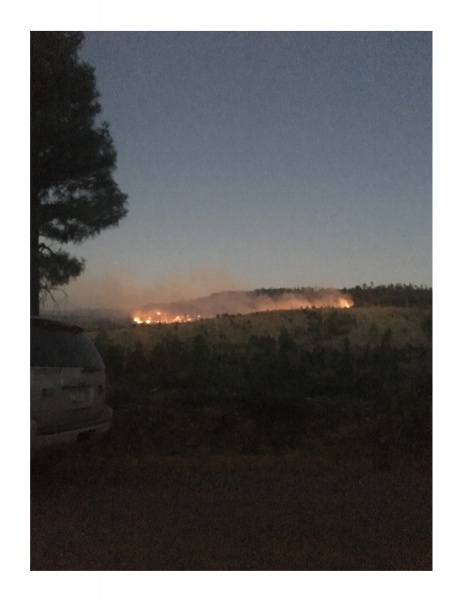 This fire is located just south of Gentry Lookout and north of Black Canyon Lake, between Forest Roads (FR) 300 and 86. We expect 150 firefighters working on the fire. The fire is expected to grow to 400 acres after burnout operation. The fire will disrupt camping and recreation use in this area for the 4th of July weekend. To secure public and firefighter safety, access to the area will be closed during the fire. Road closures will occur at (FR) 86 road at Baca Meadows and at Forest road 300/86 junction. The 300 South road will also be closed at the 300/86 road junction and at the 487/300 junction to the east. Public access to Black Canyon Lake will also be closed.